Tips on How to Travel Between Islands in Hawaii | Go Away Paris! If you are a lover of the sun and of the beach, there is one particular destination that will suit you perfectly ¾Hawaii. This sun-kissed paradise is a haven for beach lovers and people who just want to escape the stressful environs of their offices or the routines of their work schedules. It is known for its laid-back and relaxing atmosphere where you can experience the fullness of rest, and come back to your home completely rejuvenated and brimming with new energy. If you are ready to go on a paradise adventure, here are some ideas for your travel in between islands in Hawaii. Before you hop on a plane to Hawaii and start your journey, there are a few things that you need to decide on first to make sure that when you get there, you will be able to maximize your time and enjoy your travel fully. There are options that are open to you. One of them is getting an experienced tour guide who will help you plan your vacation and make sure that all your accommodations are set and ready. The advantages of this option are that you will have nothing to worry about from the moment you hop on your plane to Hawaii to the time you go back home, because everything will be ready for you. The downside of this however, is that you are left with very little adventure, in the sense that everything will be all set, and you will not get to discover things by yourself. If you are the type of person who likes surprises and who wants to learn things from him or herself, then this might not be a very tempting option for you. But if you want a hassle-free time, then this is the option to go for. Of course, you may also have a tour guide to have everything planned out on your Hawaii travel. You may simply book a tour guide for specific times or days, and the rest of the time you may have to yourselves to do whatever you want and go wherever you want to go. 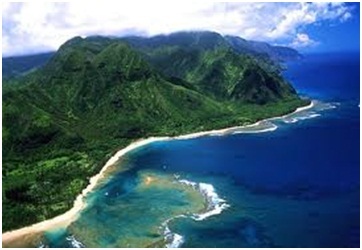 Because there are quite a number of islands in Hawaii, you will need to select which ones you will want to visit. Each island has its own highlights and tourist spots that people enjoy and love, and in order for you to pick the islands of choice, you need to know what each island has to offer. Whatever suits your taste best, there you go. Here is a quick overview or guide in order for you to spot the best island in Hawaii. Known as the Garden isle, boasts of the Waimea Canyon. This is popularly known as the Grand Canyon of the Pacific. Kauai is named the Garden Isle because of the beautiful nature that you will get to experience there, and because of its many lovely gardens. For those who love to go swimming, Kauai has one of the most beautiful beaches in the world, the Poipu Beach, where you can go snorkeling, diving, and even simply get a tan if you want to. 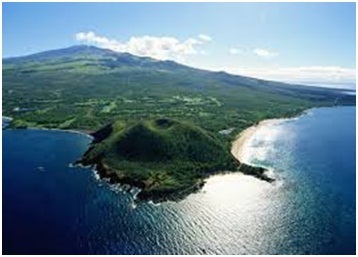 The second largest island in all of Hawaii and is also famous for its beautiful beaches. Many people enjoy doing relaxing activities such as driving around the Road to Hana, where the scenery is just breathtaking, very different from that which we see from the windows in many of our cities’ skyscrapers. The largest beach in Maui is the Makena Beach State Park, where you will find many people enjoying the water and the sun. For those who like going mountain climbing or trekking, Maui can also offer the Halekala National Park, where the island’s highest peak can be found. The Big Island of Hawaii or the Orchid Isle is the biggest island of all. It is home to many of Hawaii’s most scenic locations. It has a number of waterfalls, rainforests, gardens, and for the curious to know, it even has the Kilauea, which is one of the world’s most active volcanoes. You can experience these and more when you travel between islands in Hawaii.